Who says you have to spend a fortune on expensive flea shampoo, sprays or other products to successfully eliminate a flea infestation? Using nothing more than good old fashioned Dawn dish soap, you can kill these blood-sucking parasites. It’s a safe and effective way to rid fleas from your dog or cat without exposing them to potentially harmful chemicals and/or toxins. There are literally dozens of flea products for dogs and cats available. The next time you make a trip to your local pet store, check out all of the different flea products they sell. It’s often tempting to purchase a medicated flea shampoo when your pup is suffering from a severe infestation, but these products may contain harsh chemicals and other ingredients that can pose a direct risk to your dog’s health. 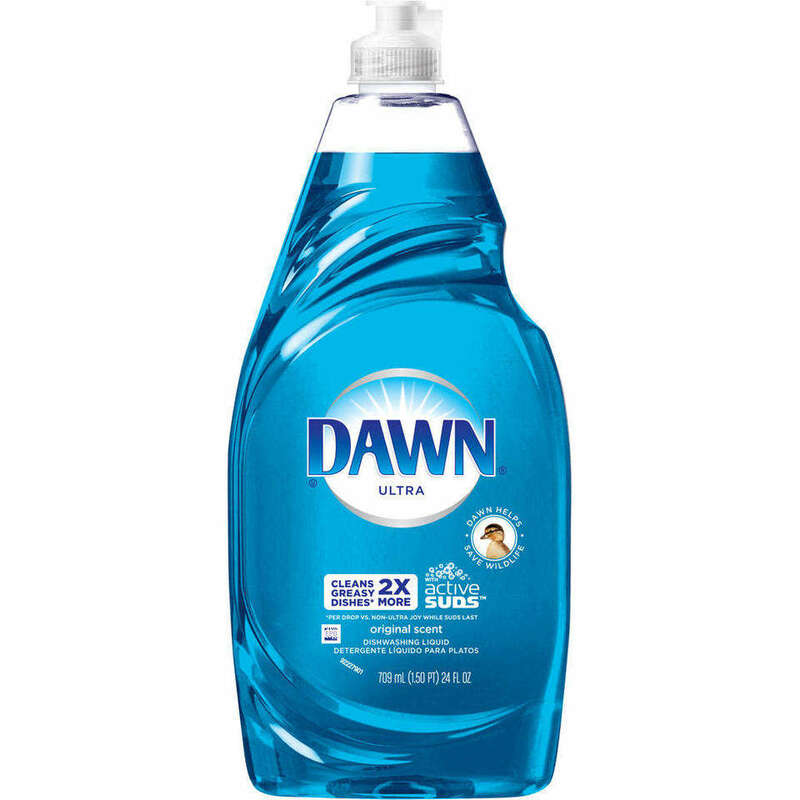 A safer, and arguably more effective, method to rid your dog of fleas is to use Dawn dish soap. It’s gentle for both humans and dogs. Doesn’t contain harsh pesticides or other chemicals. Leaves your pet smelling fresh. Dawn dish soap can be used for a variety of other purposes as well. The next time Fido is suffering from a flea infestation, try giving him a bath with Dawn dish soap. This can be done by either filling the tub with water or pouring water directly over your dog. If your dog is afraid of water/baths (common behavior in some dogs), it’s recommended that you pour the water directly over him. Turn the water on and adjust the temperature so it’s luke warm. Next, use a large cup or pitcher to pour some of the water over your dog. Once your dog is soaked, squeeze a small amount of Dawn dish soap on his body and gently massage it in. Wait 3-5 minutes and then rinse it out. You might be wondering just how in the world Dawn dish soap is able to kill fleas. Unlike flea shampoo and other medicated products, Dawn dish soap kills fleas by drowning them. When mixed with water, it creates a thick sudsy foam that literally drowns fleas on contact. Assuming you leave it in your dog’s coat for at least 3 minutes as advised above, it should kill nearly all of the fleas.